Home / The once forbidden Kingdom of Mustang | The other Tibet / A young monk plays inside the monastery complex. Above one of the moasteries, one could see the prayer flags attached. 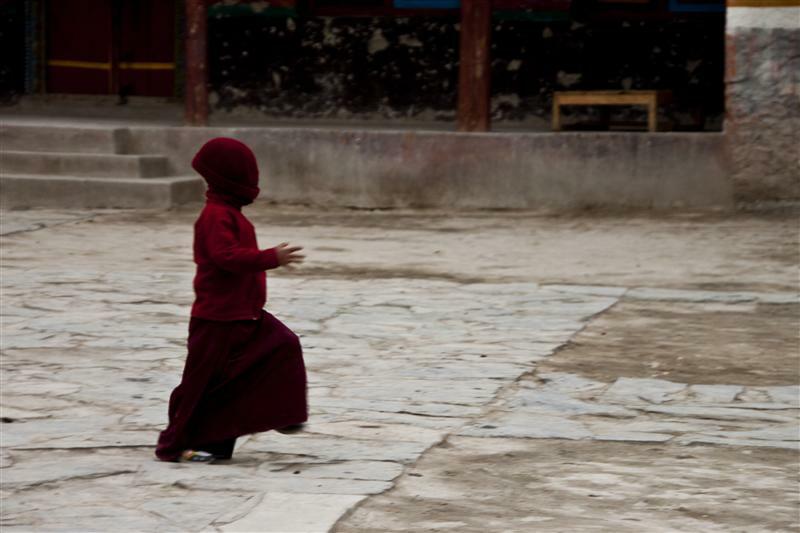 A young monk plays inside the monastery complex. Description: A young monk plays inside the monastery complex.